After I chose my ten favorite theorems in the decades 1985-1994 and 1995-2004, I went back to the first decade in complexity. Here is a recap of my ten favorite theorems in computational complexity from 1965-1974. I wrote the first two lists at the end of their respective decades but for this last one we have over thirty years of perspective. For example, at the time one might have included some of the difficult results that related the complexity of different Turing machine models (number of tapes, number of heads, number of dimensions of tapes and others) that seem less important today. We have one missing decade, so some more list making next year. Would really like to see Tarjan's ACKerman paper in the missing list. that should be in SOMEONES Top 10 of that Decade. We'll find out at some later time. is if someone found 6 nicer ones, so something has to go. though it is a nice theorem. P vs NP cannot be solved by techniques that relatives (Baker, Gill, Solovay 1975). NSPACE(n) = coNSPACE(n). (1987-Szelepcsenyi-BEATCS, Immerman-1988-IEEECCC, SICOMP). I think one other innovation from that decade was Ordered Binary Decision Diagrams (OBDDs). Though not exactly complexity theory, OBBDs and their algorithms have revolutionized other fields of computer science. The OBDD paper is the most cited paper in computer science, according to Citeseer. Yes, I agree. nice is "too simplistic and not too nice" word to describe theorems. Thanks! Though It seems to me that UNION-FIND is not just algorithms. If we are talking just about the hardest problems in NP, then it does not fit in. OTOH, if we are talking about the theory of lower bounds of all problems in NP in general (not just the hardest ones), it does fit in. It seems a bit of a stretch to view the Diffie-Hellman and RSA papers as being papers on complexity; in fact, I would barely call them theory papers (though I do not argue that they had huge impact and are seminal papers, nor that they influenced much later work in theory and complexity). The OBDD paper is the most cited paper in computer science, according to Citeseer. "Basic local alignment search tool"
"Graph-based algorithms for Boolean function manipulation"
It's worth noting that the number of ECCC reports this year is at a record breaking 158. 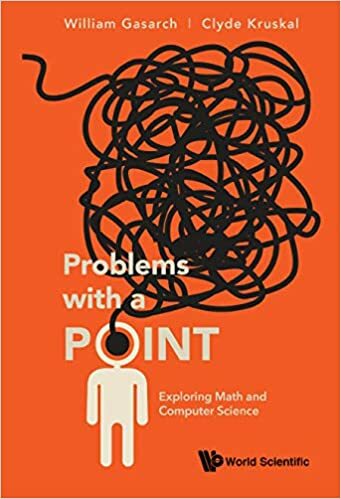 Re: the last comment, just among the last 30 reports on ECCC, there are solutions to three major open problems, in coding theory, game theory and linear programming respectively. What is most encouraging is that these results appear on ECCC without consideration to artificial boundaries drawn by some people (for purely political reasons) between complexity, algorithms and other fields of theory. Let me throw in one more: Khachiyan's result and the ones following it (Karmarkar-Karp, Papadimitrou) for solving LP problems, and thereby solving a whole set of combinatorial problems. Made one more problem drop into the set of P (in a previously not thought of way). Of course, it is Lance's favorite list! Closure of space under complement was already on Lance's list for the 1985-1994 decade and computational zero-knowledge proofs also are in the wrong decade for the upcoming list. Bryant's OBDD paper was 1986 as well. Randomized computation in the form of Solovay-Strassen/Rabin-Miller primality testing and Schwartz-Zippel identity testing should not be excluded because they are 'algorithmic'. BPP and RP would be have been relatively boring classes without these algorithms to liven them up.